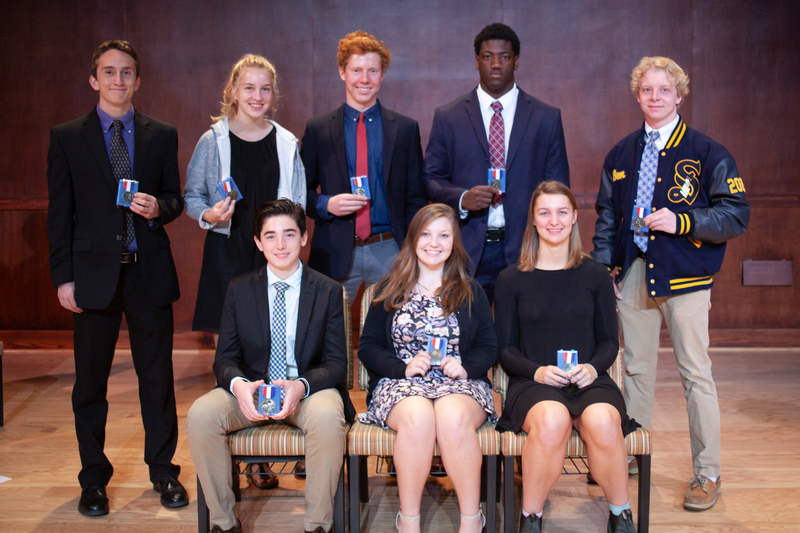 St. Andrew's-Sewanee School celebrated the fall varsity athletic season in an all-school assembly on Wednesday, November 7. The school's cross country team was coached by Cheryl MacPherson with the assistance of Neal Johnson. 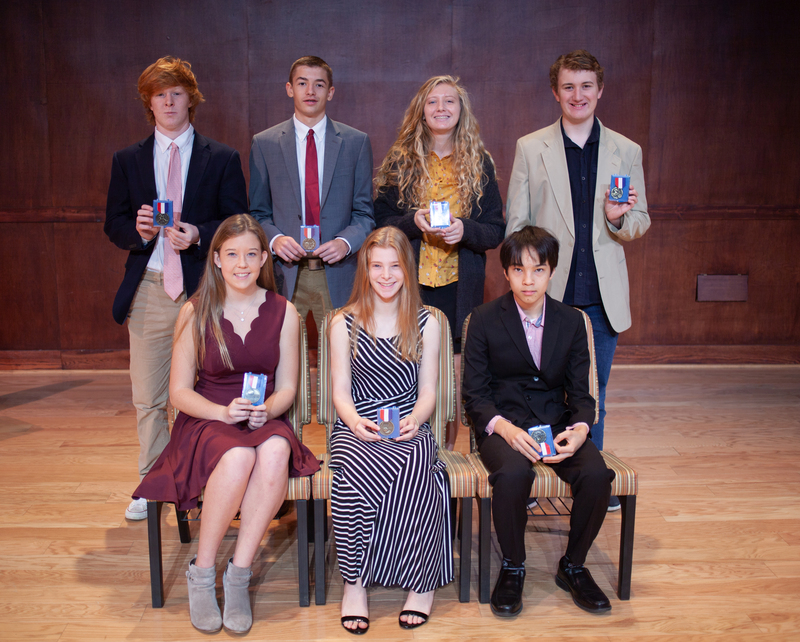 The team voted sophomore Anna Freyland (Neuss, Germany) and senior Seth Walker (Monteagle, Tenn.) as the Most Valuable Runners and freshman Charlie Barron (Chattanooga, Tenn.) and sophomore Jimmy Shin (Sewanee, Tenn.) as Most Improved Runners. MacPherson and Johnson bestowed the Coaches' Award on senior Sophia Patterson (Sewanee, Tenn.) and junior Noah Henley (Cowan, Tenn.). Freyland, Walker, and Henley participated in the cross country Division II-A Regional 5K Competition. Freyland finished 14th with a personal record of 22:55. Football Head Coach John Hargis and assistant coaches Sam Montgomery and John Wheeler chose junior Cailan McLean (Sewanee, Tenn.) and senior Larson Heitzenrater (Sewanee, Tenn.) for the Coaches' Award. The team voted seniors Jalen Tillman (Parkville, Md.) and Ben Mathews (South Pittsburg, Tenn.) as Most Valuable Players and junior Thomas Stapleton (Sewanee, Tenn.) as Most Improved Player. Tillman, Heitzenrater, Mathews, and McLean were all named to the All-Star Team. Head Golf Coach Curt Williams named eighth grader Luca Malde (Sewanee, Tenn.) for the Coaches' Award. The team voted freshman Tyler Rodgers (Sewanee, Tenn.), who qualified for the Regional tournament, as MVP and sophomore Nathan King (Sewanee, Tenn.) as Most Improved Player. With the largest athletic program in the school, Head Mountain Biking Coach Speed Baranco depends on many helpers including assistant coaches Beth Pride Ford and Michael Short and adult riders Jill and Pete Mollica and Barbara and John Fox, Alex Krongard, Karen Singer, Steve Holt, and Sian Baranco. The Most Improved Rider Award went to freshman Kenneth Simmons (Sewanee, Tenn.) and junior Aidan Smith (Sewanee, Tenn.) as the Most Valuable Rider. The Coaches' Award went to freshman Rhys Fricker (Sewanee, Tenn.). 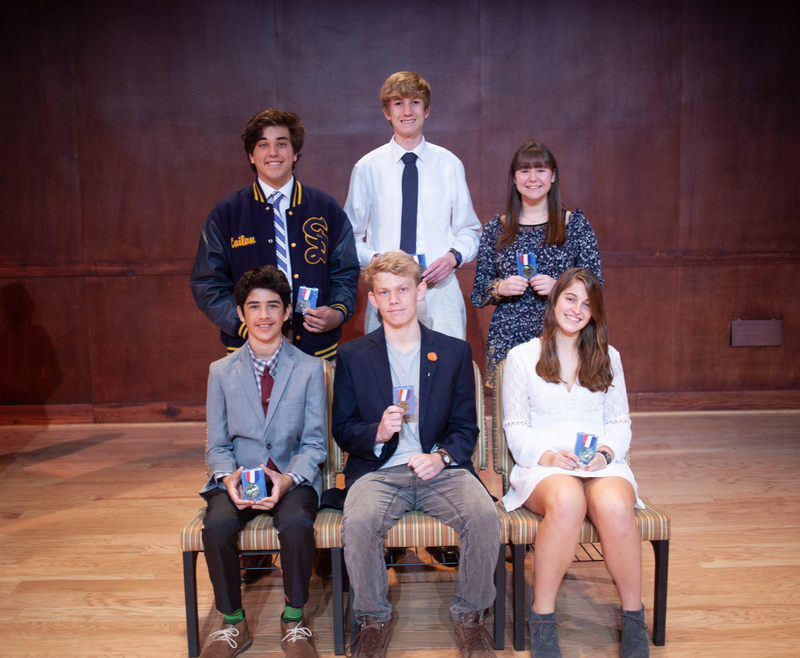 The team finished their season on Sunday, November 11 with the State Championships on the SAS campus. Top finishers included Finn Michler (JV Boys: 5th), Aidan Smith (Varsity: 3rd), Zolon Knoll (Sophomore Boys: 5th), and Libby Neubauer (8th Grade Girls: 2nd). Libby also finished 2nd overall out of 8th Grade Girls for the entire season standings. The varsity girls' soccer team finished their season 6-6. Head Coach Harrison Camp and assistant Thomas Priestley bestowed the Coaches' Award on senior Sophia Hartman (Sewanee, Tenn.). The team voted freshman Erin Mattingly (Cookeville, Tenn.) as Most Improved Player and senior Kate Butler (Sewanee, Tenn.) as Most Valuable Player. Sophomore Sarah Grace Burns (Sewanee, Tenn.) received All-District Honors. Head Varsity Volleyball Coach Rob Zeitler and assistant coach Genesis Mejias bestowed the Coaches' Award on junior Zoe Wallace (Monteagle, Tenn.). The team named junior Kendale James (Tracy City, Tenn.) as Most Valuable Player and sophomore Meredith Foster as Most Improved Player. In other fall sports news at SAS, the Middle School Girls' Soccer team under Head Coach Margot Burns finished their season 5-4-1. They upset the #1 seed in the conference tournament to advance to the championship game and finished as 2018 Central Tennessee Conference Runner Up. Coach Burns was assisted by student coaches Porter Neubauer, Myers Gorrell, and Raulston Barnett.